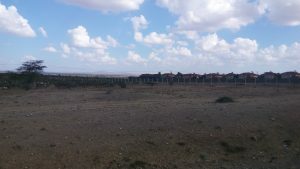 Location: The Estate is conveniently located 5km from Kitengela town and only 300 meters off the Namanga highway in acacia area, exit to the right heading from Kitengela, Directly opposite Masai flowers. The neighborhood is fully developed and set for immediate settlement. The estate is suitable for Prime Residential and commercial developments. Sizes are 1/8 acre. New World Gardens, Maasai Flowers, Newlight Senior Girls School, Galaxy Resort Kitengela, Kitengela International School, Acacia Crest Academy, The Orchard School Kitengela, Kaputei Safariland Hotel, Yukos shopping center, The East African University, Gladphil School. Boys Boarding Secondary School, Kimalat Shopping center, Gladphil Boys Boarding Secondary School, churches etc. 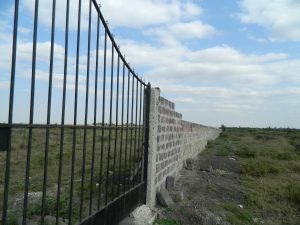 Stone perimeter wall, electricity, water and ready individual title deeds.